If it had been shot on modern digital camera it'll look even better. Idea to using film was part marketing and part political decision (to save Kodak). At this year’s Consumer Electronics Show (CES) in Las Vegas, NV January 6-9, Canon U.S.A., Inc., a leader in digital imaging solutions, will challenge attendees to see the impossible at booth #13106 in the Central Hall. Canon’s booth will feature a Canon 8K Ride Experience where attendees can see the future of visual imaging and experience, firsthand, the physical and emotional reactions that take place when an 8K video projected on a large screen simulates a physical journey. 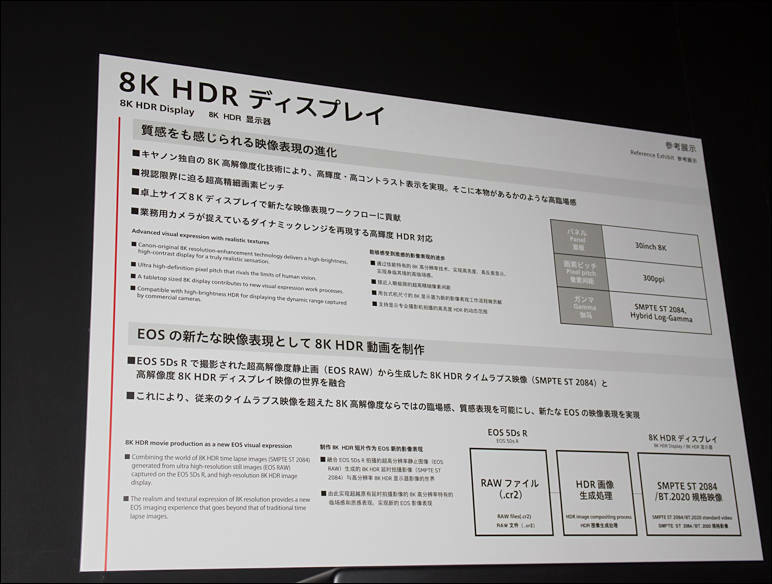 There will also be an 8K Photo Gallery that displays precise moments from an 8K video. The Canon booth itself will be composed of three environments simulating a home, an office, and a professional studio. Within each zone Canon will offer hands-on demonstrations of current real-world imaging solutions for attendees to experience themselves. The granular details of a church exterior in one scene drew audible gasps from a few of the dozen or so audience members able to fit into the screening room. But the overall experience was rather lackluster. Currently, to transmit video signal via connector-equipped cables from an 8K signal source or other devices to an 8K display, 4K-equivalent images are transmitted using four HDMI cables, and are then combined to show in 8K resolution by using image processing. Panasonic’s newly-developed connector-equipped cable, which uses plastic optical fiber technology, can achieve the transmission full-spec 8K video via a single cable, with improved bandwidth and length. 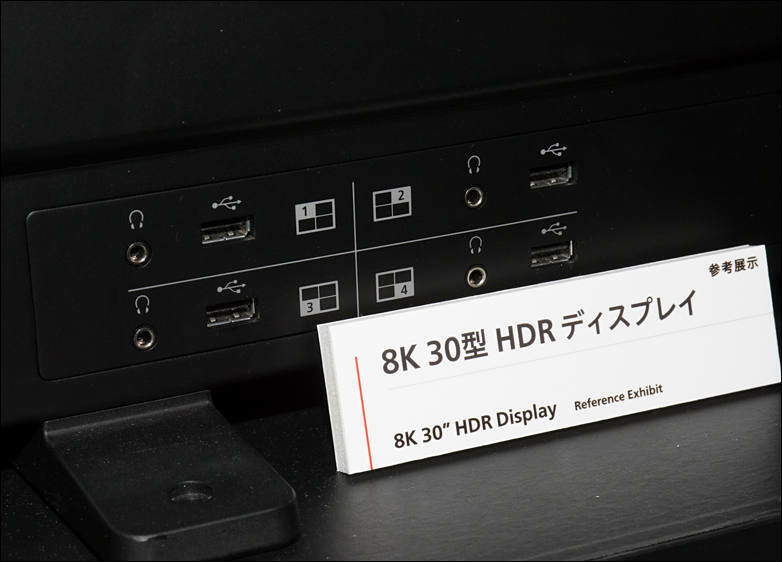 Brookman Technology, Inc. has commenced the delivery of engineering samples of image sensor BT3300N for 8K Super Hi-Vision broadcast, which was co-developed with NHK (Japan Broadcasting Corporation) and Professor Kawahito’s Group of Shizuoka University. Brookman Technology, Inc. starts its production and delivery under the agreement with NHK. 8K Super Hi-Vision is set to begin test broadcasting in 2016 and roll out full broadcasting by 2018. The image consists of 33Mpixels (7680 x 4320), and is 16 times larger than the current HDTV. I don't know who is right and who is wrong: the industry that launches all the new technologies faster the market can take any notice of it, or the folks that still distrust anything but a DVD? or the folks that still distrust anything but a DVD? 8K will have very big problem due to progress stall in semiconductors. TV industry on their side is pretty ready for 8K, they just do not want to tell you that actual visible advantages require you to have 85" TV as absolute minimum size, preferable to give TV all your big wall . 85" if you're sitting really close, maybe. 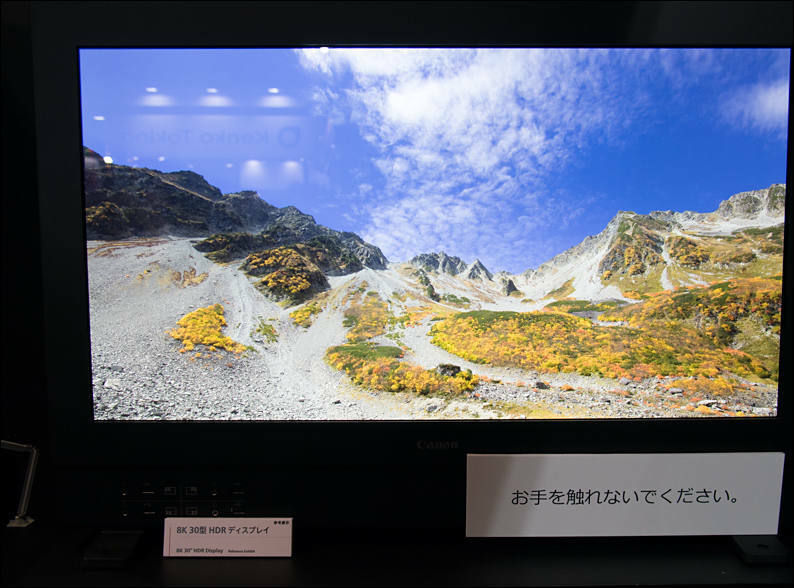 At a distance of 10-12 feet or so, 85" is close to the minimum size to perceive 4K resolution. At the China Information Technology Expo (CITE) 2016 in Shenzhen, southern China, during April 8-10, China-based TFT-LCD panel makers focused on exhibiting Ultra HD TV panels, including BOE Technology's 98-inch 7680 by 4320 (8kx4k) model and 82-inch 10240 by 4320 (10kx4k). I wonder whether those display guys ever bother to discuss where >= 8k video material would come from. Just look how today the vast majority of even A-Movies are produced in 2k. And when you look at the results, only very few of those 2k movies bother to be shot and focused such that this resolution is actually utilized. Ok, there will be some push towards 4k shooting/post-production now that 4k TVs are more common, but you can bet that the ratio of movies actually being focused such that 4k resolution is utilized will be even smaller than the ratio of fully-2k-utilizing productions today. I think it will be at least 10 years until we'll see significant amounts of material actually exploiting 4k resolution to its fullest. And I doubt that aside from a few sports live events under bright sunlight we'll see 8k productions actually using 8k resolution in the next 20 years, maybe not even after that. You can even today make 8K movie as timelapse. You can also make it using 4 synchronized 4K cameras and software processing to improve resolution. Sure, but the demand for timelapse videos is pretty limited, and working with 4 synchronized cameras is lots of effort for little return. Just look how few stereoscopic movie productions bother two use 2 cams, but only apply digital 3d effects in postproduction. It's like with all those "more than 5.1 channel" audio formats: A few examples are produced "because it can be done and draws attention while it's new", and then daily routine production goes on barely utilizing 5.1 to its possibilities - because it's just more work for marginal additional profits.